Aviation Updates Philippines - South East Asian Airlines International is adding more Domestic Flights. SEAir International is said to launch Puerto Princesa (Palawan) to Caticlan (Boracay) flying 3x weekly and Clark to Caticlan (Boracay) starting April 16 utilizing its Dornier aircraft, making SEAir International the only airline to serve this route. It is part of their strategy to serve niche tourists destinations in the country. As SEAir International continues to expand, they added Clark as a hub. From Clark, SEAir International serves cargo services to Cebu utilizing its Boeing 737-200F aircraft, recently a passenger plane, making it the only airline to operate cargo services. 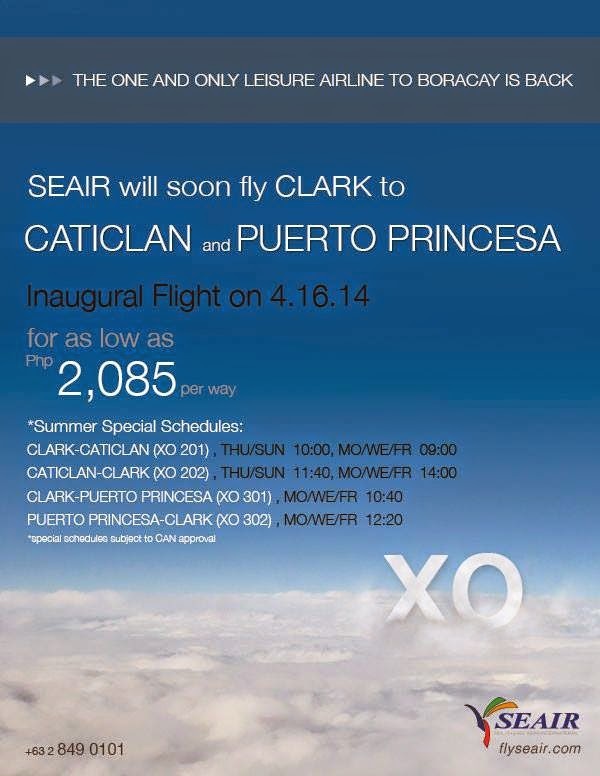 SEAir COO, Patrick Tan said that flights out of Clark would benefit travelers those living north of Manila. SEAir International said it would also seek regulatory approval to have chartered flights to Taiwan and China, eventually Japan, President of SEAir International, Avelino Zapanta told the reporters. For now, the airline focuses on Domestic destinations like Caticlan (Boracay) and Puerto Princesa (Palawan). SEAir International was formed in 2012, operating as South East Asian Airlines (SEAir) and was sold to Tigerair Airways Singapore. Cebu Pacific then entered a strategic alliance with Tigerair Philippines which allows SEAir International to retain its logo and identity.